"So, let me get this straight. 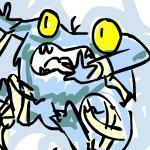 We're crashing the Faerie Queen’s party?" Surprised: Is that OBSESSION with Banana Cream? 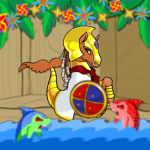 Suddenly I saw Fyora. Fyora was heading toward the cloud. 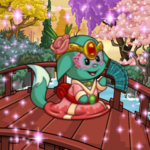 Fyora the Queen of Faeries was at Jhudora's cloud. On a table about a foot away from her left hoof sat a book. What especially caught the Peophin's attention was the simple fact that the book was glowing. "It's not looking good today, Maile," Azalea whispered. "Better than usual, but it's not worth getting our hopes up." No sooner had they done that than the doorbell rang. "Now who can that be!" Isla said, getting up. "If it were Lianne, she'd have let herself in." Despite the fact that Sol and Luna were twins, they had absolutely nothing in common. 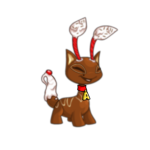 Everyone thought chocolate pets were so amazing, so rare, but Riese would give anything to be someone else. The Chocolate Ball: Tasty Treat or Grand Event? The more I thought about it, the more the idea of magical protections on Mystery Island started to make sense. "Well," Narcis had replied, "it helped you seal an agreement with me, didn't it? And I'm helping you find your way. Works out pretty well, don't you think?"